Good morning friends, happy Thursday! 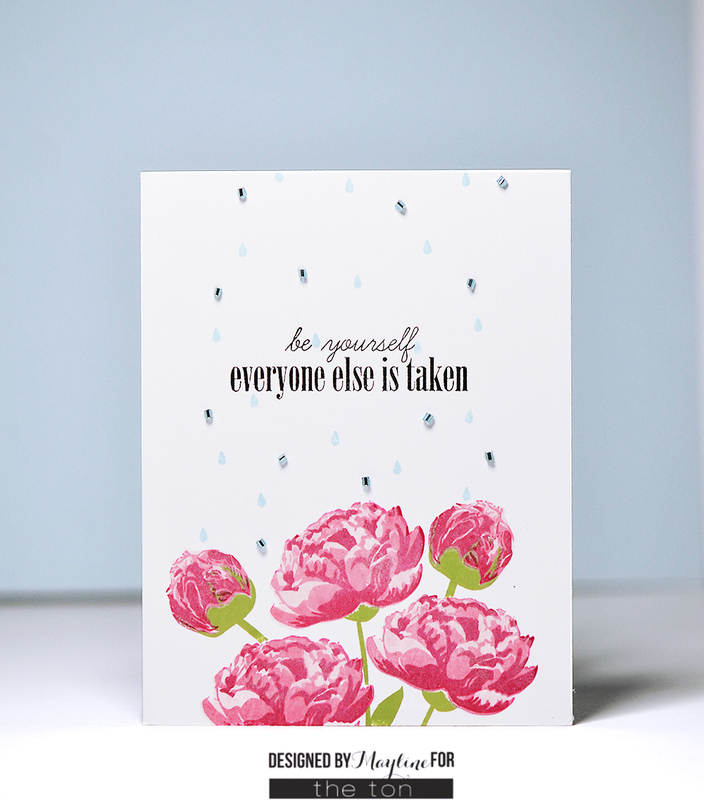 Mayline here to share a floral card that I made for you. Doesn’t it look so pretty? 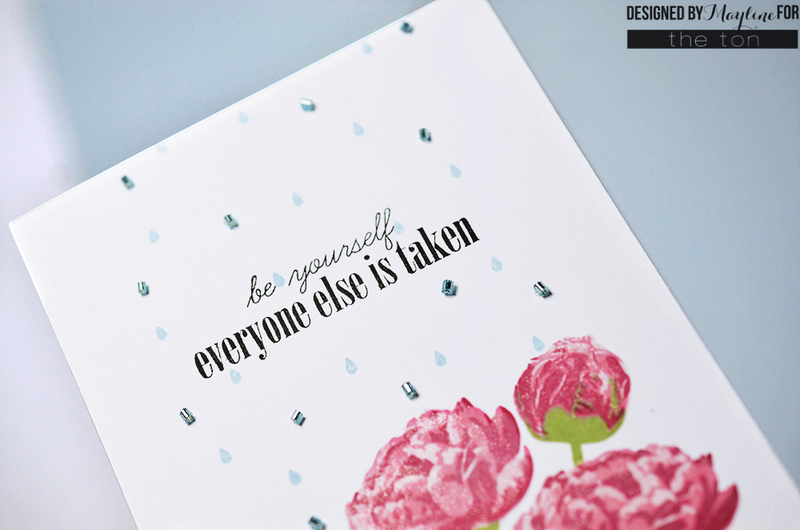 I love this layered stamp set because it allows me to create beautiful layered focal points. I’ve recently fell in love with our beads because I like to create my own textured background. To start off I stamped the flowers from our Fresh Cut Peonies stamp set and then I used a masking technique using sticky notes. 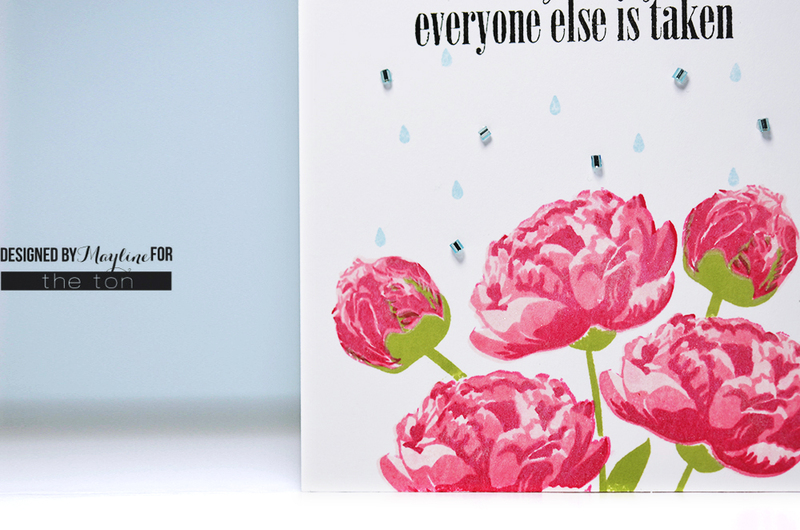 After that I stamped rain drops and then a sentiment from our Get It Girl stamp set. Towards the top of this card I adhered some Island Blue Bugle Beads around the rain drops. Then I applied some Wink of Stella to finish off the card. Look at that how gorgeous! The beads are glittering like diamonds. I hope you enjoyed my card and Thank you for stopping by! Beautiful peonies and the beads look very interesting ! Beautiful! Love the beads too! So lovely with the pretty little bugle beads!